While it is STILL summer (and we should enjoy every minute of it! ), it’s also time to begin thinking about what we’re going to need this fall. Whether you’re getting ready for back-to-school or back-to-work, one thing’s for sure: You’re going to need to get dressed. Fortunately, there are more and more options for organic clothing and accessories these days, which makes back-to-your-routine shopping fun…and helps make leaving summer behind a bit more bearable. To help get your fall shopping started, I’ve put together a list of my five organic and sustainable back-to-school/back-to-work favorites from Rodale’s. 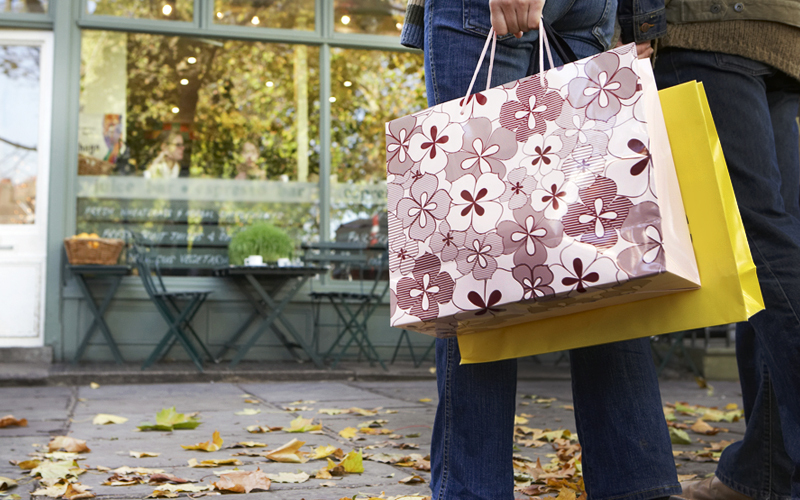 Check them out and do a little shopping, then head outside and enjoy the sunshine and warmth—while you still can! 1. Cornerstone Repurposed Fabric Tote. This tote takes salvage to another level. Each one is made entirely from repurposed materials, including filter cloth that was originally used during beer manufacturing. 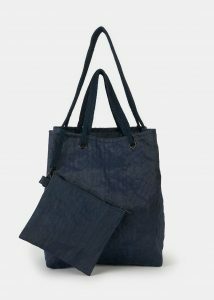 The straps are constructed from old climbing rope sourced from local gyms, and the bags are dyed in small batches for a color transformation that’s both subtle and vibrant. Roomy enough to hold all of your essentials, between uses, the tote easily folds flat for packing, making it perfect for back-to-school/work! 2. Organic Cotton Boyfriend Jeans. 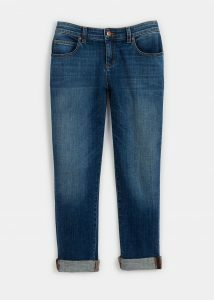 Slim with just the right amount of slouch, these lightly distressed, medium-weight jeans have a touch of spandex for a comfortable fit. The casual cuffed hem and cropped length make them ideal for everyday wear. 3. Organic Cotton French Terry Zip Hoodie. Everyone needs a super-soft hoodie for fall. 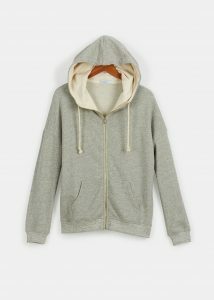 This organic cotton hoodie is comfortable, breathable, and versatile enough to wear to class or to workouts—or when you’re simply lounging around the house. 4. Handloomed Organic Cotton and Silk Scarf. 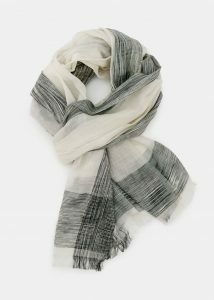 Keep your neck warm and fashionable throughout autumn with this luxuriously soft organic cotton scarf whose delicate brushstroke pattern and soft fringe create a one-of-a-kind finish to any outfit. 5. Organic Cotton V-Neck Jersey Tee. The perfect tee is a necessity for any fall wardrobe. 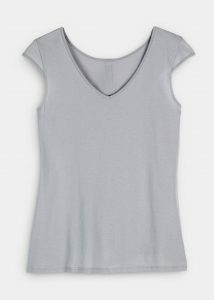 This feminine jersey tee with delicate grosgrain trim is one of my favorites. Maria’s Five Favorites: Dressing Up!